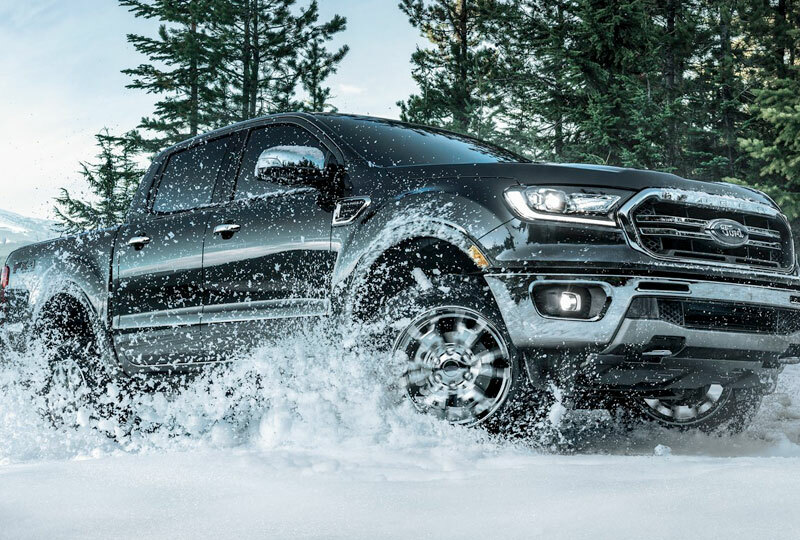 The 2019 Ford Ranger from Jarrett-Gordon Ford in Winter Haven, FL - serving Lakeland, Auburndale, Bartow, Haines City, and Lake Wales - brings the same high-quality power you've come to expect. 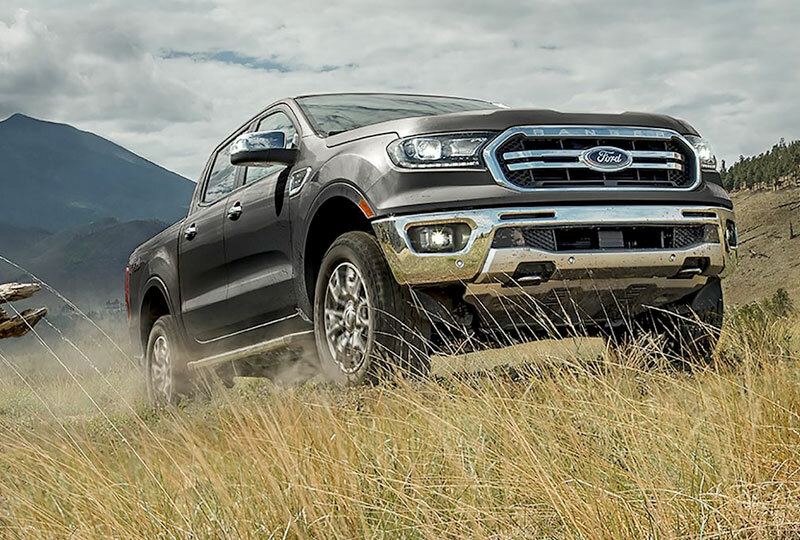 A 2.3L EcoBoost® twin-scroll turbocharged engine with 270 horsepower and 310 lb.-ft. of torque powers this mid-size pickup truck. Combined with a 10-speed SelectShift® automatic transmission with tow/haul mode, it provides a best-in-class max towing capacity of 7,500 pounds (when properly equipped). This means you have the power to get nearly any job done. 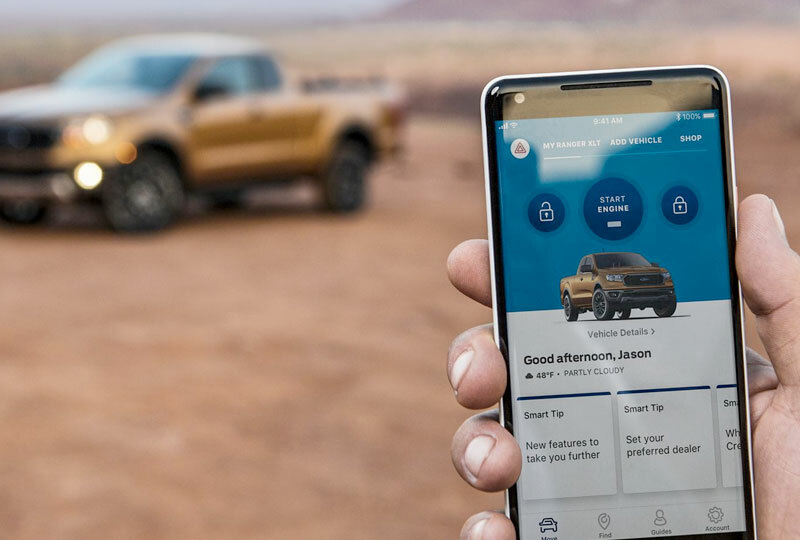 Available Trail ControlTM with Hill Descent ControlTM paired with the optional Terrain Management SystemTM with four selectable drive modes will help out when you want to get the show off the road. Front and rear steel frame-mounted bumpers create superior ruggedness and durability. Both the SuperCab and roomier SuperCrew configurations have cloth front bucket seats, fade-to-off interior lighting, and optional dual-zone electronic automatic temperature control to keep you comfortable for however long the job takes. The SYNC® infotainment system with Applink® and available in-vehicle Wi-Fi hotspot for up to 10 devices will assist in helping you and any passengers stay connected, whether you need to do so for work or entertainment. Now is a great time to drive home a new Ford! Our 2019 models are here and there are deals you have to see to believe. Stop by our location at 3015 Lake Alfred Road, Winter Haven, FL, to take your test drive! 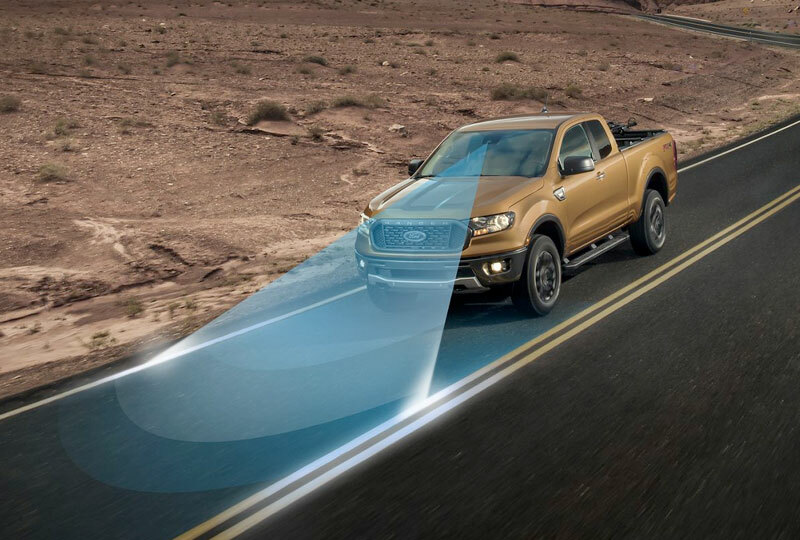 We'll help you drive home the 2019 Ford Ranger you've always wanted.